Are you an Apple user who has just transitioned to an android user? Finding it difficult to send and receive messages or just got bored with the messaging interface on Android? Or maybe, just wanted to try out the Apple messaging app, iMessage on Android? Then worry no more as There’s a new app for all you folks. This app is called “weMessage”. 1 SO, WHAT DOES THIS APP DO? 3 I’m excited! How do I get this? 4.0.1 1. All this sounds complicated. Won’t it be slow? 4.0.2 2. Do I need a Mac for this? 4.0.3 3. Is it secure and safe to use? I’m unable to trust it. 4.0.4 4. This service might be costly. Suggest me something cheap. 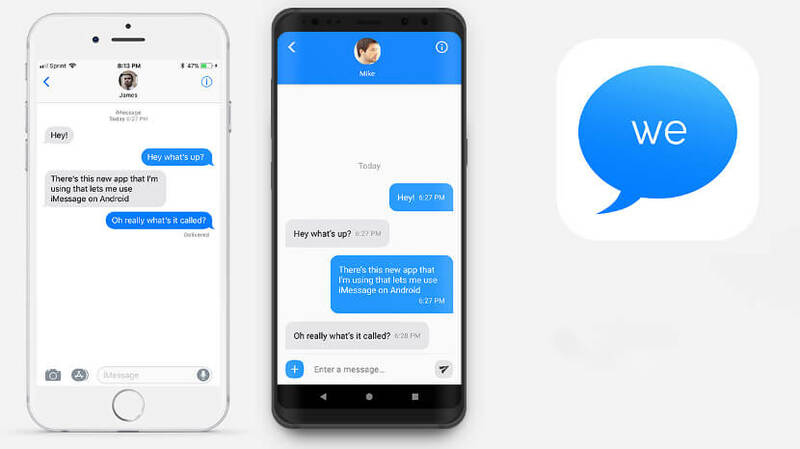 weMessage brings the popular messaging platform iMessage to your Android device, without reverse engineering or exploits. It does this by running as a server on your Mac machine, and sends your iMessages straight to the weMessage app on your phone. In addition to being lightning fast and incredibly easy to setup, it comes loaded with many of iMessage’s coveted features and even more! 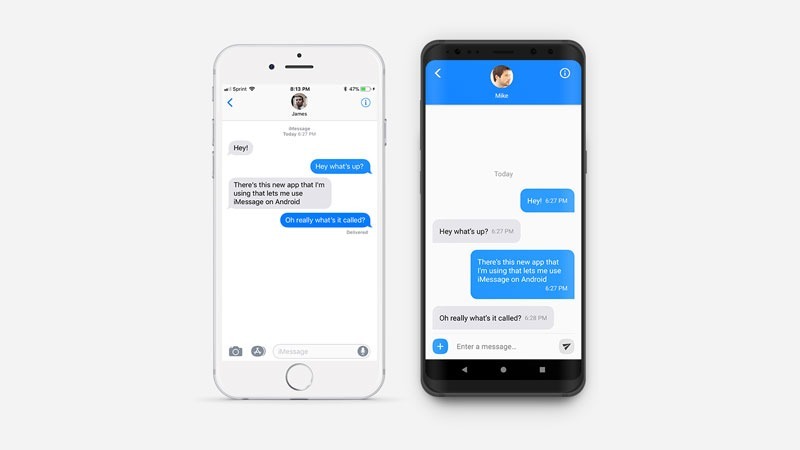 “weMessage” brings the popular messaging platform iMessage for Android devices. It’s a standalone application available on the Google Play Store which doesn’t require any root access whatsoever. 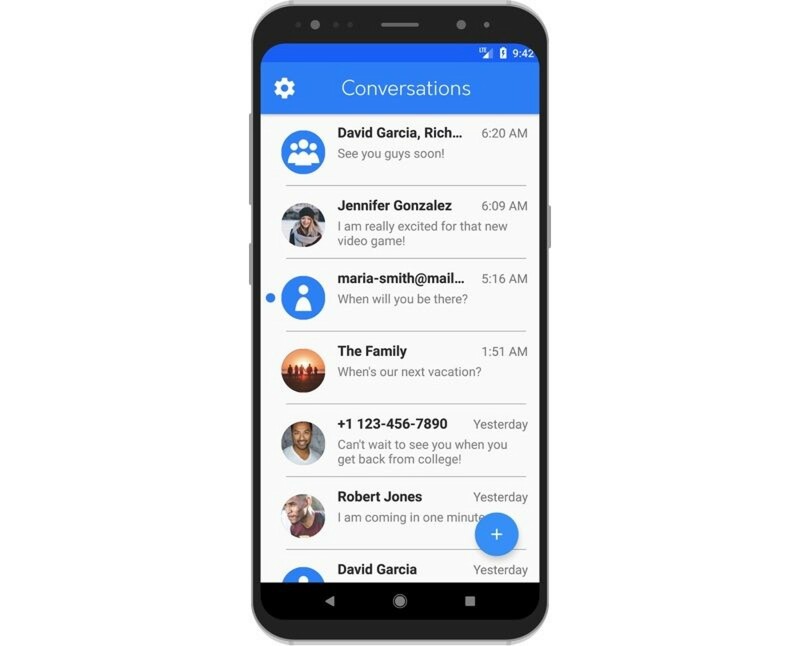 weMessage allows you to text a single person or make groups by adding people and customizing group chats. You can create a group, rename it, add people or remove people from the group. Sometimes, we just have to transfer certain documents or songs. Why use Email for it? weMessage does it all. You can send and receive an image, audio, or video attachments directly. The weMessage app is loaded with customization options. It gives you the power to change contact pictures, group names and group chat icons. This is indeed our favourite feature. Must you be knowing the blue-tick in WhatsApp right? Yep, you’ll get to see whether they’ve seen your message or not. 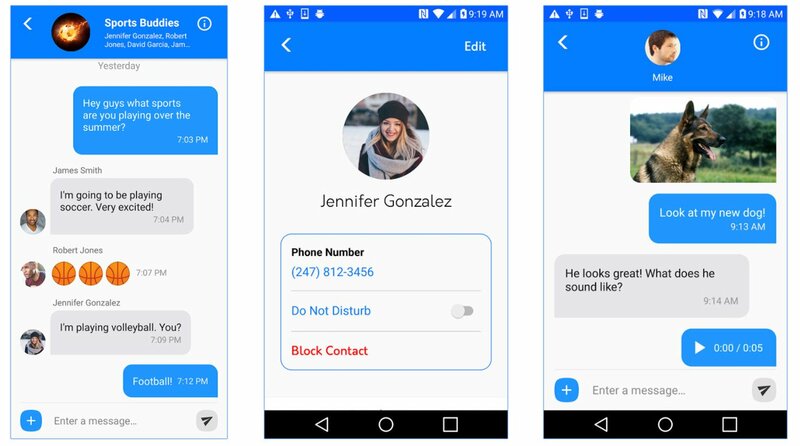 No one can spy on your messages as all the messages are encrypted using AES cryptography which is an encryption standard used by the U.S government. We can also call it a cross breed between Whatsapp and your traditional Messaging application. There is built-in Browser and video player in the weMessage application that makes it different from the rest. I’m excited! How do I get this? MacOS computer running Yosemite or above. Android device running Android Lollipop and Above. An account on iMessage (Obviously!). You can go to the weMessage website by clicking here. After that, you have to download the app on your android device and the weserver software on your Mac system. After installation, It’ll run a server on your mac pc and send your iMessages straight to the weMessage app on your phone. That’s it. 1. All this sounds complicated. Won’t it be slow? No. It’s blazing fast and very easy to set up. It can be up and running in just a few minutes. 2. Do I need a Mac for this? Yes. weMessage can only be set up on a Mac computer and an Android device. It’s not for Windows or Linux users. 3. Is it secure and safe to use? I’m unable to trust it. It is 100% safe and secure. In fact, this application is more secure than your regular boring android messaging platform, as weMessage uses AES standard encryption. 4. This service might be costly. Suggest me something cheap. You’re absolutely mistaken. This service is absolutely FREE of cost for you to use it. So, What are you waiting for? Download iMessage for Android right now. Oops, it’s weMessage. You can see, that’s how similar they are.